this divine perspective. 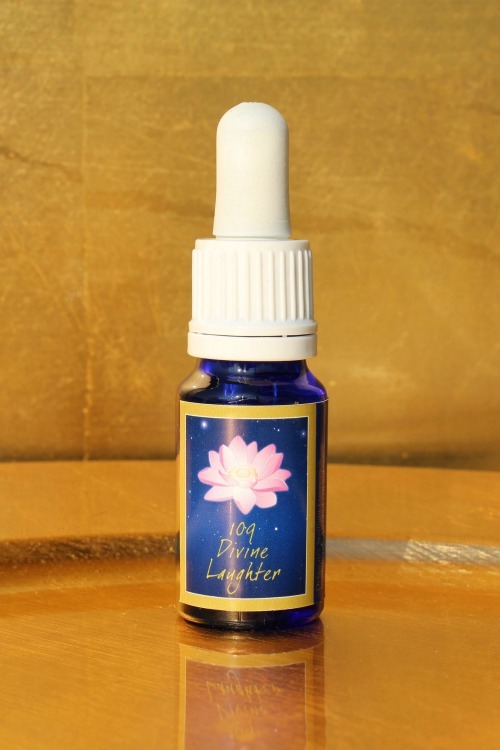 This essence lets you take part in the cosmic joy. Completely detached from earthly experiences, Divine Laughter awakens the ability to laugh. It brings joy for creation itself and for taking part in it. 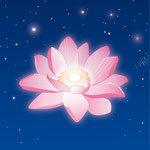 This essence allows all daily matters to take a step back and frees your own divine core. Self-imposed boundaries dissolve. In this laughter, nothing but divine joy can last. This essence helps you to completely be in the here and now and to see the world with God’s laughing eyes. Lead the essence with a distance of ca. 40cm in a clockwise direction around your throat chakra, heart chakra, solar plexus chakra, sacral chakra and base chakra. Place one drop each onto all the chakras (start with the lotus chakra, finish with the root chakra), both knees and take one drop orally. Lead the essence with a distance of 40cm in a clockwise direction around your brow chakra and then you slowly bring the essence closer to your brow chakra until the level of insight opens and the energy starts to flow/communicate.